Doctor of Philosophy, Homiletics, Flinders University, 2011. Master of Divinity, Wartburg Theological Seminary, Dubuque, Iowa, 2003. Graduate Diploma in Religious Education (Religion Studies), SACAE Underdale (now UniSA), 1989. Graduate Diploma in Education, Hartley CAE (now UniSA), 1979. Bachelor of Arts, University of Adelaide, 1978. Tanya has worked in community service, the environmental sector and in population health; her previous roles include chaplain, counsellor, training facilitator, ministry associate, manager, program director,lecturer. She defines herself as a church nerd and loves liturgy, loves preaching (even listening to others preach), and has a passion for pastoral care. She loves learning. And teaching. And mentoring. 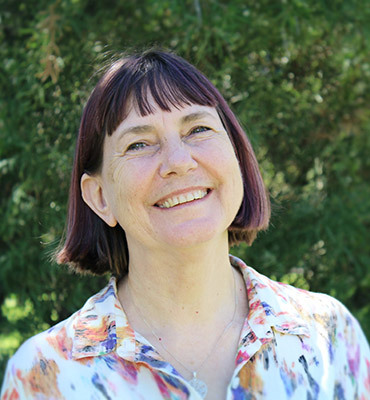 Before coming to the college Tanya was teaching at the University of Adelaide where she coordinated a number of programs in Public Health, and in Counselling and Psychotherapy, and lectured in public health, bioethics (at Flinders University as well) and in narrative practice. Tanya’s doctoral research examined preaching in the light of a narrative epistemology. Her key research interests are in homiletics, pastoral care, formation, and women in the church, but she is fascinated by all manner of things so delights in multidisciplinary research. As the Postgraduate Coordinator Tanya has oversight of those students completing postgraduate research as well as the postgraduate courses. Tanya and her husband, Leigh Newton (a songwriter and a primary school teacher) delight in their permeable (or is it elastic-bordered?) family. Wittwer, Tanya (2012) “Devotions for October” in Time Out: Come Holy Spirit Edited by David Strelan. Adelaide: ACR. Wittwer, Tanya (2010) “God’s Story and my story: meaning and the personal narrative” Studia Homiletica 7 Preaching – does it make a difference? Edited by Henning Thomsen & Mogens Lindhard. Frederiksberg: Aros Forlag. Wittwer, Tanya (2009) “The Authority of Scripture, Women’s Ordination and the Lutheran Church of Australia” Journal of Lutheran Ethics 9.12. Wittwer, Tanya and Robert J Kempe (2008) “Who’s writing about preaching these days?” LTJ 42:3, 161-64.